It’s long known that Microsoft is developing a new web browser in Windows 10 to replace the aged Internet Explorer. The new web browser was codenamed “Project Spartan”, and has been made available for free usage to Windows Insider who installed Windows 10 since build 10049. Now, the Project Spartan has an official name, Edge. 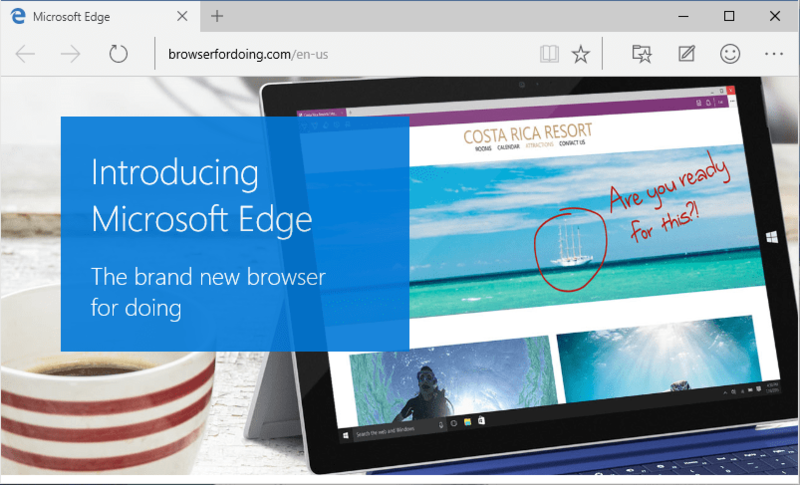 The name of the new browser is still unchanged at “Project Spartan” in Windows 10 Insider Preview Build 10074, but it’s expected to bear the new name “Edge” in future builds going forward.